It’s been more than a year since New York pastry chef Dominique Ansel’s cronut became a cultural sensation, with some waiting hours in line for a shot at trying one. Now Dunkin’ Doughnuts has released a croissant doughnut, though the company denies it is copying the famous New York bakery. The 300-calorie pastry is in stores beginning Monday, November 3. The company sent us two dozen pastries for our office to sample. At $US2.49, they are roughly half the cost of the New York City original. Compared with the classic doughnuts at Dunkin’, the pastries look slightly irregular, like they came from different molds. 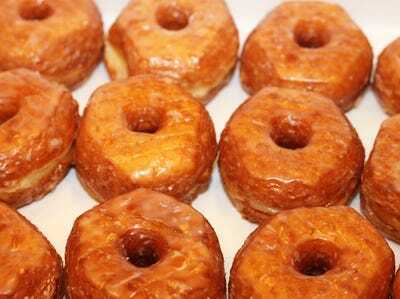 “Some of the croissant doughnuts had a strange hexagonal shape, which made my think they were stamped by a machine rather than rolled by hand,” one reviewer said. Biting into the doughnut reveals a dense, flaky inside. When it came to taste, our reviewers were underwhelmed. While Dominique Ansel’s version of the cronut changes flavours every month, the Dunkin’ version is covered in a simple glaze. This made it difficult to differentiate Dunkin’s version from the original glazed doughnut. “Tastes exactly like a normal glazed doughnut from Dunkin. It’s a little thicker and fluffier, but there’s no difference taste-wise,” one reviewer shared. Others said the product tasted like an “ordinary doughnut,” and a “normal glazed doughnut” from the brand. Some people also complained that the glaze too sticky and made the pastry messy to eat. 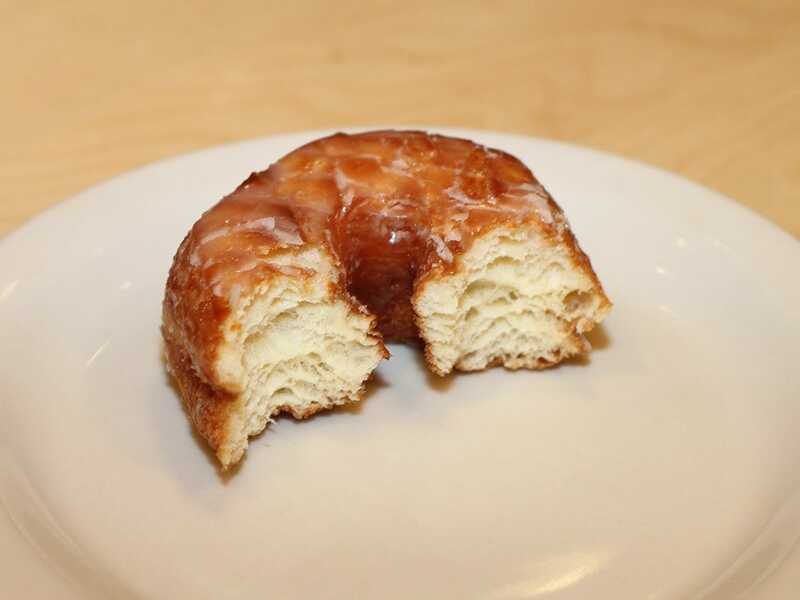 Overall, the croissant doughnut isn’t bad. But because it’s difficult to differentiate from a normal Dunkin’ Doughnut, we wouldn’t recommend making a special trip for it.